Aadams Inspection Services LLC offers professional home inspection services to the greater St. Louis metropolitan area. Our non-invasive inspections are accurate and highly detailed, designed to provide clients with a complete understanding of the home that they’re considering. We adhere to ASHI’s excellent Standards of Practice. Our buyer’s inspection consists of a thorough evaluation of the visible and readily accessible components of a home. Each inspection will be followed by an unbiased report of our findings that will be sent to your email within 24 hours. Before listing your home, you should consider having it evaluated by a third-party inspector. We’ll carefully assess most readily accessible components of the property, providing you with a full report of our findings. If any defects are found, you’ll be able to use the information to schedule repairs at your discretion or to inform prospective buyers before they schedule their own inspection. Before the builder takes you on the final walkthrough of your new home, we recommend hiring a third-party inspector to provide an unbiased evaluation of the property. We’ll assess the condition of the finished structures and currently installed mechanical systems for any defects that need to be brought to the builder’s attention before the contractors finish the final phase of construction. This inspection is for new homeowners who would like their property inspected before the builder’s 1-year warranty has expired. We’ll evaluate the readily accessible structural components and mechanical systems for any defective materials or safety hazards that have emerged. If any discovered issues are included under the terms of your warranty, you may be exempt from having to cover the repair costs out of pocket. A Loan Draw Inspection can keep a construction project on track and provide welcome security for the lender. We’ll arrive on-site to assess the utilized and stored building materials, ensuring that the criteria of the proposed budget are being met. We’ll also observe how closely the project is adhering to the timeline of the original draw request. We offer Re-Inspections for clients who need repair work assessed after we found a component to be defective in one of our inspection services. We’ll make sure that the repairs were performed correctly and that no oversights have occurred that could present new safety hazards for residents. Termites are a burden for homeowners around the country, inflicting unsafe and unsightly damage to a home’s structure. The cost of repair work due to termite damage is often staggering—which is why every homebuyer needs to have the property that they’re considering tested. We’ll look for any signs of current infestations and existing damage so that you can be aware of any issues before you choose to invest. Radon gas forms deep underground from the breakdown of certain types of rock and soil, sometimes infiltrating the underlying structure of a home. 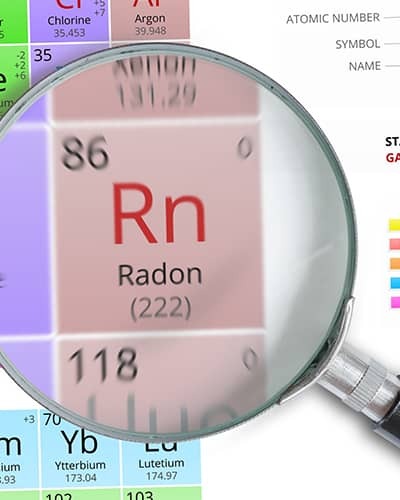 This can be problematic for residents, as radon has been linked to serious lung complications. Because the gas is both odorless and invisible, testing with specialized equipment is necessary to detect this dangerous gas. At Aadams Inspection Services LLC, our experience makes yours easier. By applying our diverse and specialized knowledge of the industry, we strive for every home inspection that we perform to give our clients peace of mind and the ability to negotiate an investment confidently and successfully. Contact us today to request an inspection.